We may be able to give you short-term help towards your housing costs if you are affected by the ‘bedroom tax’ or benefit cap. Make an application online or contact the welfare solutions team on 020 7926 6399. We have over 50 garages available to rent, costing tenants only £19 per week. Apply for a garage online. Only one in ten tenants currently report their repairs to us online. Using our online repair reporting form is quicker and easier. It normally takes less than three minutes to report a repair online, compared to being on the phone for seven and a half minutes. 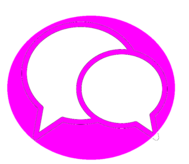 You can also pay your rent online or get your questions answered through the online chat function on our website. At the bottom right of the window, you’ll see a pink chat icon. Simply click on the icon, enter your details and click ‘start chat’. You’ll then be connected directly to a staff member who can help with your rent questions. Last year we carried out trials to see how we could improve recycling rates on estates. We found that offering free clear disposable bags to residents did increase the amount of recycling collected. 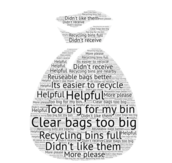 But resident feedback was that the plastic bags were too big for their flats. We also found that we would need to make changes to the big recycling bins on estates if we were to offer the bags to everyone. As a result, we will carry on working with residents to find the best ways to increase recycling on estates. Please let us know your suggestions by email. We have a number of FREE training courses available to Lambeth tenants. To book these courses, contact High Trees Community Development Trust on 020 8671 3132 or by email. The three Area Boards met this month. They scrutinise our quarterly performance reports and make recommendations for service reviews. The annual Resident Assembly will go ahead in September or early October. All TRAs and Lambeth 500+ members will receive an invitation. The first Homeowners Assembly took place on 5 July. Thirty-five residents attended workshops run by the Leasehold Advisory Service and home ownership services. To find out more, please contact Erin Healy on 020 7926 8299 or email gettinginvolved@lambeth.gov.uk. Across the 70 walkabouts carried out in the past three years, we have spoken with over 2,000 residents. The walkabouts give you a chance to show us what needs improving on your estate, and it also allows us to resolve fire safety risks while we are there. We measure and report our performance across over 100 measures each quarter to ensure that we are providing excellent services to residents. Since 2012, we have spent over £450m improving Lambeth homes and estates to meet the Lambeth Housing Standard. You can view the full programme of works for 2018/19 for the north, central and south areas on our website. Lambeth council welcomes new chief executive and new Cabinet Member for Housing, Cllr Paul Gadsby. Need funding to make a change or want to support local initiatives? Consider Lambeth Crowdfunder as a way of raising money with a bonus of up to 25% of your funding target to a maximum of £1,250 offered by the council, subject to eligibility criteria.